After a September with two Bellator events, the promotion is back for Bellator 144, its lone event in October. 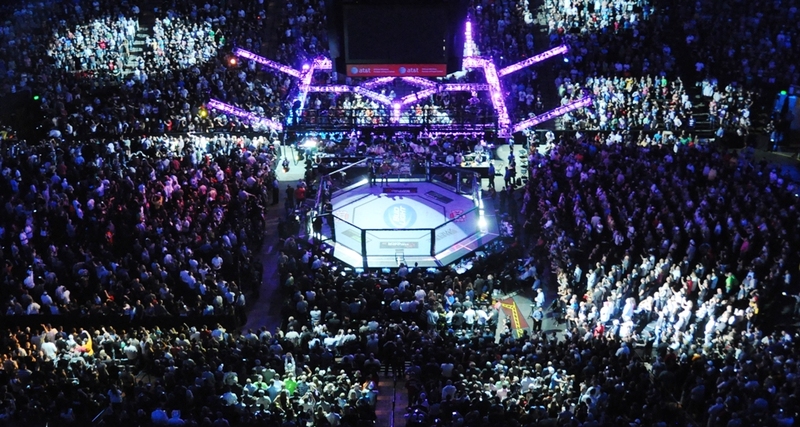 Bellator 144 consists of the typical four-fight main card and takes place at the Mohegan Sun Arena in Uncasville, Conn. The main event of the evening will be a middleweight title fight between former champion Brandon Halsey and Rafael Carvalho. The big storyline is Halsey. 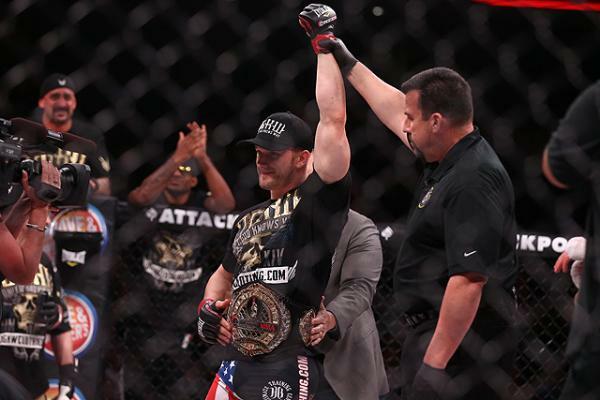 After capturing the title with a win over Alexander Shlemenko, Halsey missed weight for his first title defense against Kendall Grove, leading to Bellator stripping Halsey of the title. Halsey then went out and defeated Grove by fourth-round TKO. Halsey could be viewed as the true champion for the vacant title, but Carvalho will have something to say about that. Carvalho is coming off a victory over kickboxer Joe Schilling in his previous fight. Brennan Ward takes part in the co-main event against Dennis Olson. Olson last fought against another of Bellator’s top welterweights, Paul Daley, in a fight he lost by knockout. Ward will look to continue his climb toward the top of the welterweight division after rattling off two straight wins this year. Ward will also seek to keep his streak of finishes going — he has avoided the judges’ scorecards since 2012. The final two bouts on the card involve some of the most exciting prospects on the Bellator roster. At welterweight, flashy striker Michael “Venom” Page looks to add another knockout to his highlight reel when he clashes with Charlie Ontiveros. And at featherweight, submission and grappling specialist Goiti Yamauchi takes on top Japanese prospect Isao Kobayashi, who will be making his stateside debut. The Bellator 144 preliminary card airs live on Bellator.com beginning at 7 p.m. ET. The main card airs live on Spike TV at 9 p.m. ET. Brandon Halsey is technically not the true middleweight champion after missing weight and getting stripped of his title. 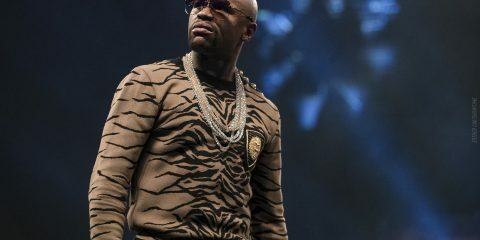 However, he never lost the belt in a fight and could still be viewed as the champion. Here, he’s out to reclaim what he believes is rightfully his when he meets Rafael Carvalho. Halsey dominated Kendall Grove in what turned out to be a 188-pound catchweight fight. Halsey showcased his power and strength to bring the fight to the ground and keep it there. 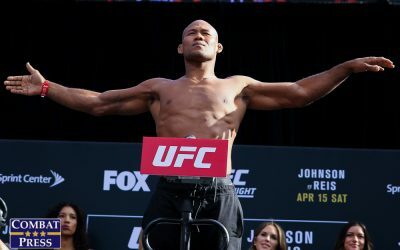 Outside of a couple of Hail Mary attempts by Grove, the 29-year-old Halsey really showed why he was able to rise to the status of middleweight champion prior to his weight-cutting mishap. Halsey is a tough wrestler who effectively looks to sap the will out of his opponent and get the finish. 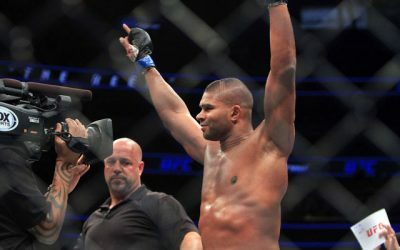 Six of his nine victories came by either knockout or submission, including victory over Grove and his championship-clinching win over Alexander Shlemenko. The Shlemenko fight is another example of just how overpowering Halsey can be. 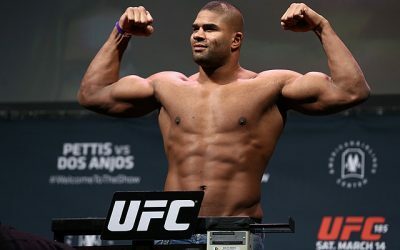 He bullied Shlemenko with his size advantage and choked out the Russian in under 40 seconds. Carvalho is going to want to avoid the same fate. The Brazilian showed in his last with Joe Schilling that he could really be a presence on the ground. Halsey has undeniably better grappling than that of the kickboxer Schilling, which means that for Carvalho to pull off the same type of performance against Halsey will be a much more difficult task. Carvalho, who has picked up nine of his victories via knockout, should look to try to outstrike Halsey if he wants to win this fight. 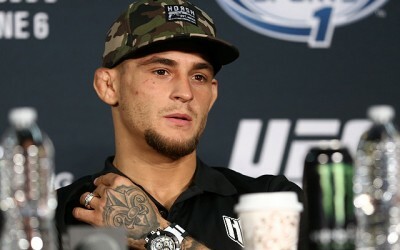 The Brazilian could also seek to tire out Halsey, whose cardio could be an issue the longer the fight goes on. It might not be enough, though. Halsey is going to get this one to the ground and should take the win by way of TKO. 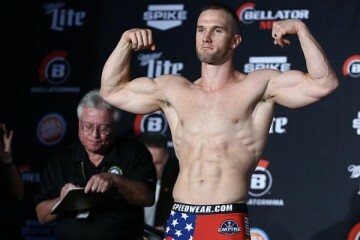 Dennis Olson gets set up against another Bellator favorite in Brennan Ward. Ward is a really entertaining fighter when his foe plays into his game. Ward has put on some good fights. To put it in numbers, he hasn’t been to the scorecards since his third professional fight, which took place in April 2012. Ward is on a two-fight winning streak. Both victories, which came against Curtis Millender and Roger Carroll, were first-round finishes. The 27-year-old can win this fight on the feet or on the ground. Olson was knocked out in his last fight, so it would not be surprising if Ward decides to go the same route and look for the knockout on the feet or get the fight to the ground and throw shots from the top to get a TKO victory. Olson is 2-3 in his last five fights and has been alternating wins and losses since a three-fight losing streak in 2010. It’s hard to envision Ward not coming out of this one with a win. He can claim the victory by submission or knockout, whichever opportunity first presents itself. 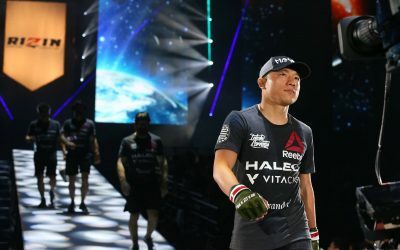 Goiti Yamauchi is finally returning to the cage after just over a year on the sideline following the injury that caused him to pull out of his Bellator 139 fight with Pat Curran. Curran, perhaps, would have been too much too soon for Yamauchi, whose biggest win came over Mike Richman in May 2014. Instead, Yamauchi will welcome top prospect Isao Kobayashi to American shores. Yamauchi is an excellent dark horse to make a challenge for the featherweight strap. The 22-year-old already has 20 fights under his belt. 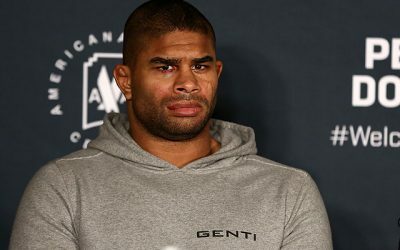 He has only progressed as a complete fighter in his tenure in Bellator. Yamauchi is defined by his ability to out-grapple his opponent. The Brazilian owns 14 victories by submission and submitted his latest opponent, Martin Stapleton, with a first-round rear-naked choke. He will definitely look to capitalize on his grappling in this fight. While his striking does seem to be making incremental steps, his best method to victory comes with his jiu-jitsu. Yamauchi could legitimize his claim to contender status with a win. Kobayashi isn’t exactly a slouch, though. 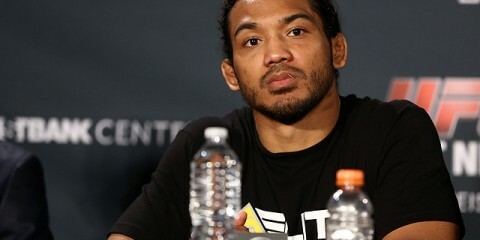 In fact, he was a lightweight King of Pancrase champion and the 2009 Pancrase Neo-Blood lightweight tournament winner. He only recently shifted to the featherweight division, defeating Takeshi “Lion” Inoue in his first fight in the new weight class. Kobayashi has eight of his victories by way of knockout. 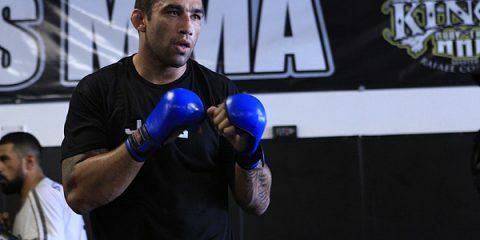 He defeated Marlon Sandro and Will Chope by decision to earn his two most recent victories. The 26-year-old southpaw should look to try to get the victory on his feet and avoid any sort of grappling with Yamauchi. If Kobayashi, who has a judo background, were to put the Brazilian on his back, it could play against him unless he can grind out Yamauchi and prevent any sweeps or submission attempts. Yamauchi should be able to keep this one in his wheelhouse on the ground and win by unanimous decision or even take a submission victory. Bellator is certainly setting up Michael “Venom” Page here to try to add to his growing highlight reel of knockouts. 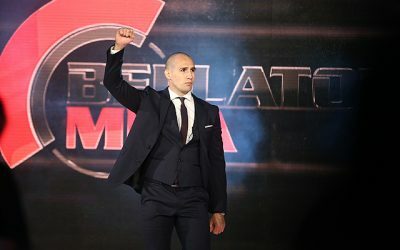 Page certainly has the fan-friendly personality and the striking to really be sold as a star in Bellator’s welterweight division, which lacks a truly marketable guy. 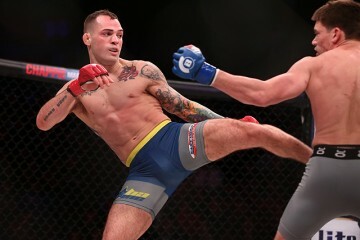 Page already has three knockouts in the Bellator cage, and he’ll continue to look for the big finish on the feet when he locks horns with Charlie Ontiveros. It would be immensely surprising if the 28-year-old brought this fight to the ground. He likes the knockout and there really isn’t much more to discuss in terms of his game plan for this fight. 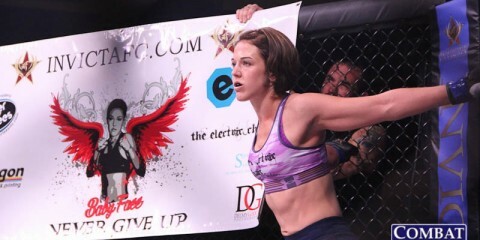 Ontiveros has fought exclusively under the Legacy Fighting Championship banner, where he has struggled to put together a winning streak in the last few years after kicking off his career with three straight victories. The 24-year-old has alternated wins and losses ever since. Ontiveros needs to fight a perfect fight if he wants to beat Page. His biggest priority is to get the fight to the ground. He is giving up a little size — he’s shorter by an inch in both height and in reach. If Ontiveros gets the fight to the mat, it should not only help slow down the striking of Page, but it will allow Ontiveros to target Page’s biggest flaw. Any possibility of an Ontiveros win will come via his ability to neutralize Page’s striking. Ontiveros can’t clinch and hug Page against the cage, as Page is very diverse in his strikes. And, of course, Ontiveros can’t stand and let Page throw his creative kicks and combinations. Page will most likely be able to commit this fight to only the striking department, where he has a good advantage over Ontiveros. Page will indeed add another knockout to his resume.